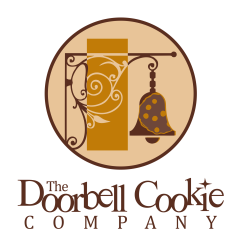 ​Where is 'The Doorbell Cookie' located? ​Foster City, California and my website is my storefront where you can learn about my products and services and contact me for orders. ​We deliver Mondays and Fridays. You can choose a weekly, biweekly or monthly subscription. For parties and special events we deliver seven days a week. Do you offer a multi-dozen discount? ​Yes, there is a discount when you order two or more dozens of cookies. Please check our menu for discount prices. Unfortunately as a California Cottage Food Operator I am not allowed to ship any products. But I can happily pack your cookies and get them ready for you to ship them. They are best placed in a ziplock bag (or other airtight container) to stay fresh in the refrigerator for up to one week or in the freezer for up to one month for freshness.